As reported on YWN, the NYPD is searching for a gang of six black teens who threw a metal pipe through the window of a Shul in Williamsburg on Shabbos afternoon. 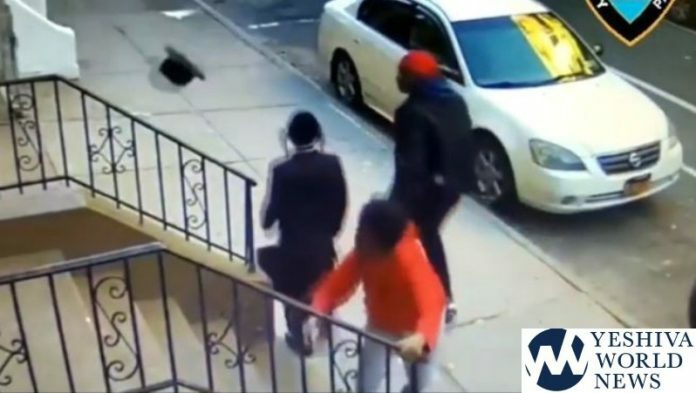 New footage obtained by YWN on Tuesday shows the same group of teens attacking a Hasidic boy moments before the attack on Franklin Ave, knocking his hat off his head as he innocently walked down the street. Shockingly, the NYPD had not deemed the vandalism attack on the Volkan Shul a “hate crime”. This new footage clearly shows the gang’s intention. 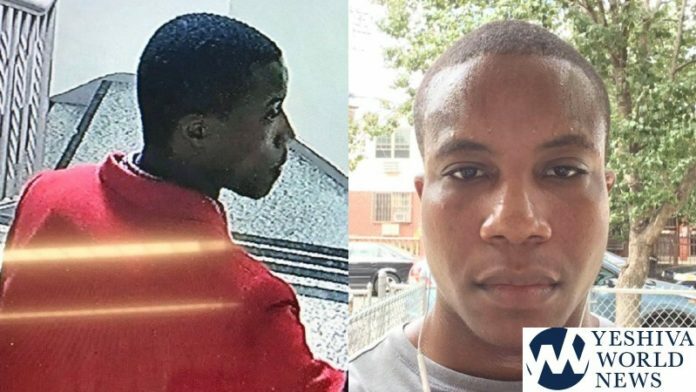 The NYPD has announced a $2500 award for information regarding the suspects. Time to MOBILIZE the JDL. They will teach them derecho eretz! Time to restart the “Chaptzem” or to create another organization like JDL to patrol our streets. The victims will be those who try these bias crimes. The nice thing is that we can expect many of the perps to be found and transported to morgues. Hate crime only applies if the alleged victim is black or Muslim. It was never intended for white Christians or those pesky Jews. But not to worry. Our know-it-all a$kanim have Eric Gonzalez on their sp$$d dial. Where is the outrage from the Satmar? Or is their outrage only against other YIdden? In some cases of course it may not be good to pick a fight. Such as when the chassidish boys hat was tipped over by 5 teens. But if there are OTHERS there they can together at least shout and if in a group APPROACH to scare away or if possible stop them. Then it should not mske them think Jewsd are easy targets. Also All Taamod Al Dam Rayacha. And there can be community meetings or rallies for tougher law enforcement.